Understanding the environment around us is key to being able to predict natural hazard events, and to respond appropriately when they occur. Christina Jones is a graduate geologist from Cardiff University with a love of exploring the world around her. 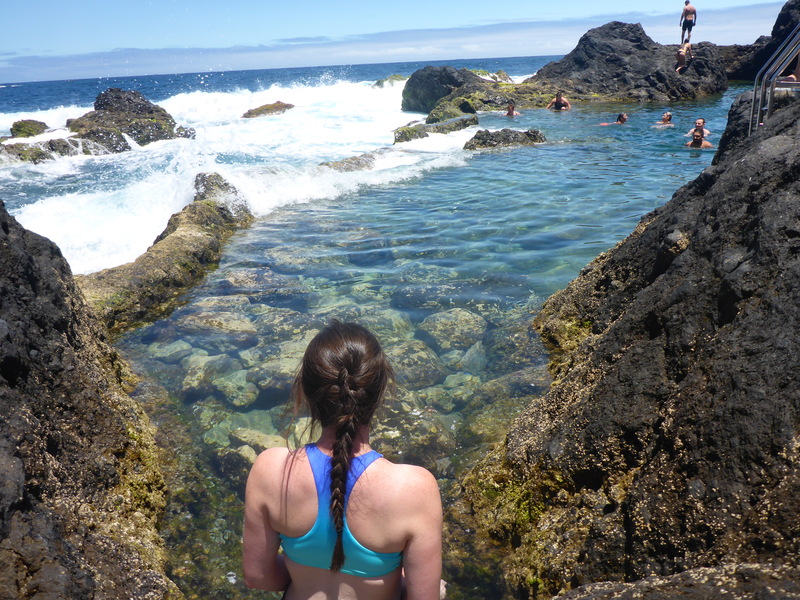 She writes about her experience as a GeoTenerife Environmental Monitoring GeoIntern in June 2018. Tenerife is a dramatic island with an explosive history. When offered the opportunity to spend a month working with research scientists on the volcanic island, I had no idea what to expect. What followed was one of the best adventures I’ve experienced. 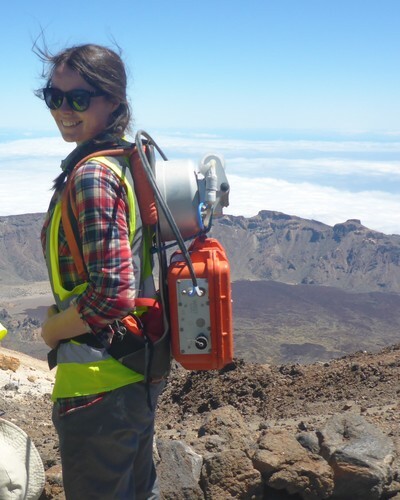 GeoTenerife is an English company that offers students the chance to work alongside research scientists at the Canarian Volcanology Institute INVOLCAN . Tenerife is the largest of Spain's Canary Islands, which lie to the east of Africa. Stepping off the plane at the beginning of June, I was met by the Atlantic Ocean, with Mount Teide dominating the skyline overhead. Mount Teide is the largest and most recognisable volcano on Tenerife, but there are over 300 that form the island. These volcanoes are responsible for the diverse landscape that is enjoyed by locals and tourists alike. Ancient lava flows hold pools of turquoise water at some points on the coast and form towering cliffs in others. However, the volcanoes that created this beautiful place also pose a risk to those who live and visit here. Understanding the environment around us is key to being able to predict natural hazard events, and to respond appropriately when they occur. INVOLCAN constantly monitors the volcanic activity on the Canary Islands. The soil temperature, hydrothermal fluids and gases emitted give vital clues about what is happening beneath the surface. Working within the crater of Teide is a challenge. The steep climb carrying monitoring equipment to the 3717m high summit is tiring, but rewarded by stunning panoramic views of Tenerife. The crater itself is hot, with fumaroles releasing clouds of gas that reach temperatures of around 83°C. Changes in the amount of gas released indicates how active the volcano is. Magma degassing is an important process that occurs within volcanoes. As magma moves upwards, the pressure on it is reduced, causing gases to be released from the molten mixture. Water is the most abundant volcanic gas, followed by carbon dioxide (CO2) and sulphur dioxide (SO2). Unusually high amounts of these gases being released at the surface indicates that magma is rising inside the volcano. It is hoped that measuring these gases could be a way of predicting when future volcanic eruptions may occur. INVOLCAN sends volcanic unrest alerts to the government when they detect high amounts of activity, to warn them of potential eruptions. Working on active volcanoes can be difficult and dangerous, especially during eruptions. Remote sensing techniques are being developed so that volcanologists do not have to be in the crater itself. Differential Optical Absorption Systems (DOAS) measure the amount of visible light and UV that is absorbed by gases in a plume of smoke. These systems can be mounted on cars, helicopters or planes and used to measure the gases in volcanic plumes from a distance. DOAS is also used for other applications on Tenerife, including monitoring power station emissions. Having arrived with no expectations, I am leaving Tenerife with enormous respect for this incredible landscape and the scientists who study it. INVOLCAN's volcanologists spend their lives working in challenging conditions to monitor the Canary Island's volcanoes and ensure that any volcanic activity isn’t a surprise for those who live here. Their passion for learning, and for sharing their knowledge with others, is inspiring. For further information about GeoTenerife please contact Charlotte Young at charlotte@famouspublicity.com, Tina Fotherby at tina@famouspublicity.com or call the office on 0333 344 2341. You can follow Christina Jones’ discoveries on Twitter @GeologyNina or contact her via email at cmc.jones@outlook.com. GeoTenerife is a UK company with a fully-owned subsidiary in the Canary Islands that organises tailor-made field trips and courses for universities, schools and colleges. 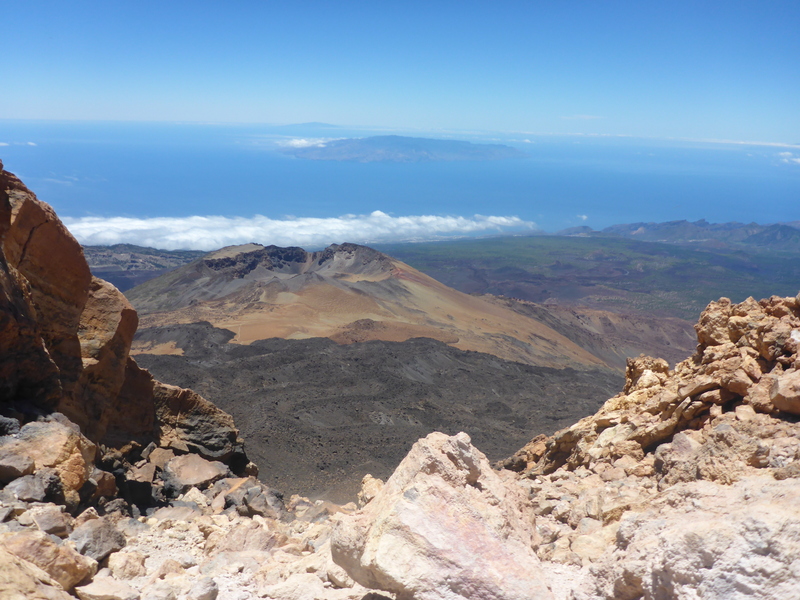 GeoIntern is a summer programme run by GeoTenerife in association with the Canary Island Volcanology Institute. GeoTenerife is committed to developing sustainable tourism, and works closely with local experts, institutions and facilities. This press release was distributed by ResponseSource Press Release Wire on behalf of GeoTenerife in the following categories: Men's Interest, Leisure & Hobbies, Women's Interest & Beauty, Environment & Nature, Travel, Education & Human Resources, for more information visit https://pressreleasewire.responsesource.com/about.